As a presenter, Krystal engages her audience in activities and workshop exercises that encourage collaboration, critical thinking, and innovation. She blends her knowledge of communication, body-language and influence with powerful business leadership tactics to help attendees rediscover and re-engineer their careers. Krystal has presented workshops and talks for organization such as The Women's Foundation of Colorado, Black Hills State University, Western Michigan University, LadyCoders, National Association for Professional Women (NAPW), Colorado Institute for Municipal Clerks, Denver Startup Week and Dish Network. 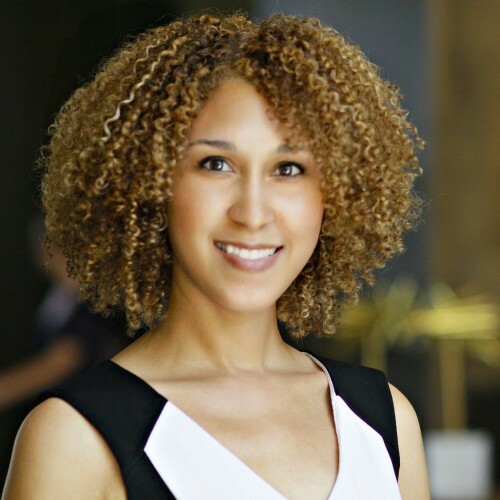 Krystal Covington is the CEO and Founder of Women of Denver, a social enterprise membership organization with a community of thousands. Krystal's background includes over 10 years of progressive experience in marketing communications leading up to a corporate role as the Director of Public Relations for a national, publicly traded grocery chain. Krystal has been featured on Fox, ABC, TEDx, Forbes, Denver Business Journal, Fast Company, Entrepreneurs on Fire, Women Taking the Lead, Business Insider, Go Banking Rates, Bustle, and many other media outlets. Find out more about Krystal Covington at https://www.krystalcovington.com/speaking.html.